Screening is a public health intervention that as a concept should be inherently equitable, so it’s particularly important that we address inequalities anywhere we identify them. Reducing inequalities is also one of the main aims of Public Health England. So I’m really pleased that today we’re publishing the PHE Screening inequalities strategy. This builds on the work of the 2015 inequalities workshop, which identified the need for a national plan to support local action. Many thanks to everyone who attended that initial workshop and has engaged with us since then. The strategy is a team effort by a large number of people. It’s important at the outset to say that informed choice is at the heart of the strategy. This isn’t about forcing or even encouraging people to be screened if they don’t want it. It’s about addressing the unwanted and unfair barriers that may mean people can’t engage with an offer of screening or participate in screening when they would like to. The decision to have – or not have – a screening test is one that only the person involved can and should make. Publishing the strategy is just the start and today’s blog is the first in a series. I’ve recorded a short video to explain a little more about what screening inequalities are and the case for taking action to address them. You can watch this above. In upcoming blogs we’ll be highlighting specific inequalities and the work being done around them. You can use the inequalities tag on the right hand side of the blogs to easily track the series of blog as they’re published. Every year our world leading screening programmes offer screening tests to millions of people. They enable choice, improve health, prevent disability and save thousands of lives. This is a significant achievement and one we in PHE are extremely proud of. However, we know inequalities in screening exist. It is often those who might benefit the most who are unable to access screening. We therefore have the opportunity and the responsibility to make screening services in this country even better. To do this we need to ensure that everyone, regardless of their circumstances, has the same opportunity to access screening if they choose to. That is why I am so pleased that PHE Screening is publishing its own inequalities strategy. This sets out what we and our partners are doing to tackle screening inequalities. Today is just the start and I look forward to seeing the range of innovative ongoing actions to ensure screening programmes can be accessed by all. If inequalities in access to screening are not addressed then quite simply we will see greater diagnoses and more deaths which could have been prevented. 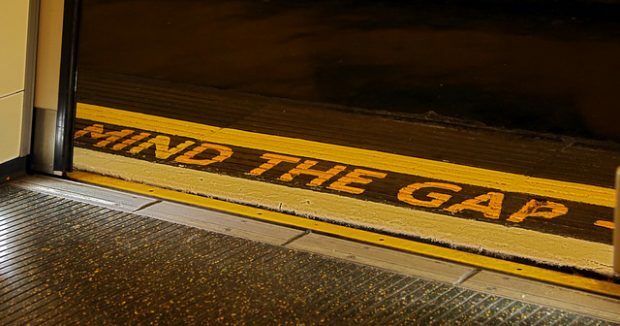 Inequalities exist at every level and across each step of the screening programme, yet we know there is already a wealth of local and national activity making progress in closing the gaps that exist. I’m pleased to support this new strategy and to have contributed to its development, as I believe it should further support, provide influencing capability and add strategic direction to those delivering screening, working to increase participation and encourage further action and investment. Thanks for watching the video, reading the strategy and working with PHE Screening to eradicate screening inequalities wherever we can. This is very much a partnership and I look forward to seeing the fruits of our collective efforts over the next few years.